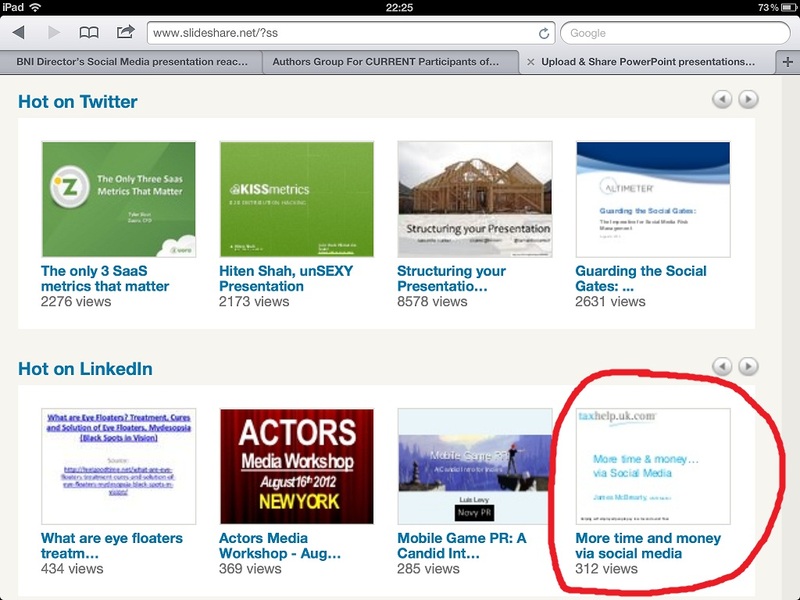 My 'More time & money via social media' presentation is the top one on LinkedIn! My ‘More time & money via social media’ presentation is the top one on LinkedIn! I posted a blog recently about this updated presentation, which I had been presenting throughout 2011 in Kent, Essex and Surrey, as well as in Spain. So much that I have just had an email from slideshare to tell me that my presentation is currently being talked about more on LinkedIn than anything else from slideshare right now! As a result, they have featured my presentation on the slideshare home page – so the views will continue to increase as more people discover it. Here is my presentation post, please do contact me if you have any queries about it.